Alan and Jean both connected to Margaret through her Maitreya website in 2003 and both subsequently completed her Master of Metaphysics intensive beginner, advanced and brotherhood courses. They didn’t realize as they signed up for the courses and traveled from the U.S. to Australia and New Zealand in 2003 and 2004 that it would eventually lead to Alan’s marriage to Margaret in 2005 and Jean’s acceptance as her personal assistant in 2006. Finding the website was like coming home, the writings opened the door to a whole new perspective on what our life purpose is and how we fit into the world we live in (Click here to read about Maitreya Essences). The courses were a gateway to learn, understand and implement the practical concepts of astrology, past life, karma and life lessons into your everyday life and Maitreya’s energy was the catalyst to assist in the transformation. Alan and Jean’s backgrounds couldn’t have been more different. Jean grew up in the midst of the cultural revolution of China. She endured the stigma of her father being jailed as a dissident and the educational system being dismantled during her youth to attain her PhD in Pharmacology. Her strong will and perseverance led to her attainment of full professorship and she led one of the prestigious divisions at the Academy of Military Medical Sciences located in Beijing prior to immigrating to the West in 1995. Alan grew up in the U.S.A. in a middle class family. School and sporting activities were avenues for success and popularity. 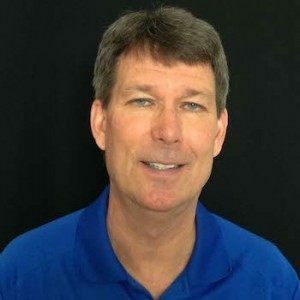 He enjoyed a 6-year stint in the U.S. Navy, 4-year university degree in accounting, and then worked in corporate America for 15-years before branching out with a business partner to create his own consulting business. Ironically, both Jean and Alan’s success in their job related endeavors led them to a point in there lives where they were searching for answers that the everyday world wasn’t providing and they both subsequently left that world behind. In October, 2004, Alan flew to New Zealand to start his partnership with Margaret. In January 2006, Alan and Margaret had moved to Seattle to open the Maitreya Seattle Learning and Healing Center and Jean left life behind in Philadelphia, PA where she was living to become Margaret’s personal assistant. They both served and supported Margaret and Maitreya through a bond of love, friendship and respect that endures to this day as they continue to live and teach the Wisdom and Knowledge Maitreya brought to the world through Margaret. Alan and Jean continue to teach various courses to assist people to become the Masters of their own life. In August of 2017, Jean and Alan joined forces in marriage and dedicated their union to the continued legacy of Maitreya’s Wisdom for Today, Answer’s for Tomorrow that Margaret brought forward to the world. Alan often states, “We are so fortunate, because Margaret and Maitreya’s energy continues to touch and live through us every day”. We receive email’s and Facebook messages continuously from students around the world letting us know that they felt Margaret or Maitreya’s energy in a task or event they just experienced. We know, we feel it every day and will continue to share this energy and knowledge with those who are drawn to becoming the Master of their own life destiny. Alan had been a seeker his whole life in search of Spiritual and Metaphysical knowledge. In 2003, at the age of 48, he came across Margaret Birkin’s original website (www.maitreya-edu.org) that she had setup for Maitreya, who she had been channeling since 1992. The writings and channelings of Maitreya were like coming home in their simplicity and their message of placing the onus on “You” to become your own master through taking responsibility of your life. Alan, who was residing in the State of Washington in the U.S. at the time, flew to Australia in the spring and summer of 2004 to study with Margaret. Events unfolded for him to travel back to New Zealand in the fall of 2004 for a 3rd course with her where they decided to form a partnership that led to marriage in the summer of 2005. Margaret returned to the world of Spirit in July of 2016. During their 12-years together they operated two healing centers in Seattle and traveled the world allowing Maitreya to spread his uplifting message of empowerment from Europe to Asia to the U.S. and Canada. Alan, along with Margaret’s colleague, Jean Luo manage the Maitreya Teaching, Healing and Educational Network. Maitreya.co is a worldwide organization of practitioners and healers based on the channeled information from the Ascended Master Maitreya through his channel Margaret McElroy. 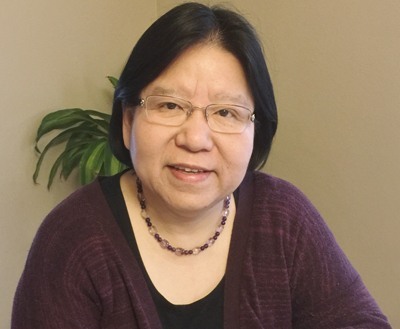 Jean Luo is a graduate student of Maitreya (www.maitreya.co) and his channel Margaret McElroy. She has been working and trained by Margaret/Maitreya in the past 13 years. Maitreya’s teachings are simple and practical – to be true and honest to yourself and become your own master of your life. Through practicing Margaret/Maitreya’s teaching essences, her life has been completely transformed and she has changed to be a better person. She has found her true passion in service to Spirit and humanity. Her true passion is assisting souls who are searching for answers about who they are, their life purpose and who are asking for help to make a better and happier life. She often refers to the teachings of Maitreya as “Wisdom for Today, Answers for Tomorrow”. Jean does in depth astrological reading and medical astrology reading. She also does past life regression, color reading and healing. Jean conducts her spiritual guidance utilizing astrology, past life regression, color healing, emotion code healing and flower essence healing to help people release their blocked energy and to assist them to move on with their life with better understanding. Along with Margaret’s husband Alan McElroy, Jean co-manages the Maitreya Teaching, Healing and Educational Network. Maitreya.co is a worldwide organization of practitioners and healers based on the channeled information from the Ascended Master Maitreya through his channel Margaret McElroy.